Good luck to everyone receiving A Level Results tomorrow. Hopefully you get the exam grades you are after but if things don’t go to plan there are plenty of other alternatives, university is not the only option! You can look for course vacancies through the UCAS clearing service or you can investigate other options – a gap year, an apprenticeship, overseas study and more. Any of these options give you time to reapply for next year or reconsider whether or not higher education is the right decision for you. Not only is a break from academic study well deserved, taking a gap year has proven to help students be more focused and achieve higher grades when returning to study (from a study by AGA). So maybe a gap year isn’t such a bad idea?! A gap year offers you the opportunity to gain new skills and life experiences, enhancing your CV or higher education application, while giving you time to reflect and focus on what you want to do next. There are lots of amazing places to travel to and experiences for you to consider during a year out – some might fill an entire year, others a few weeks or months. You can do more than one trip! As a company providing gap year courses which enable you to develop your ski or snowboard skills while gaining instructor qualifications, we highly recommend taking time out! Check out our ski instructor courses and snowboard instructor courses, specifically designed for gap years. Each year celebrities reminded students that success doesn’t have to be measured by grades on a bit of paper. 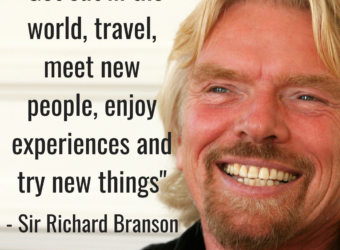 Jeremy Clarkson and Sir Richard Branson are among those that didn’t do so well on results day…if that’s how you are feeling, know that you are in good company! 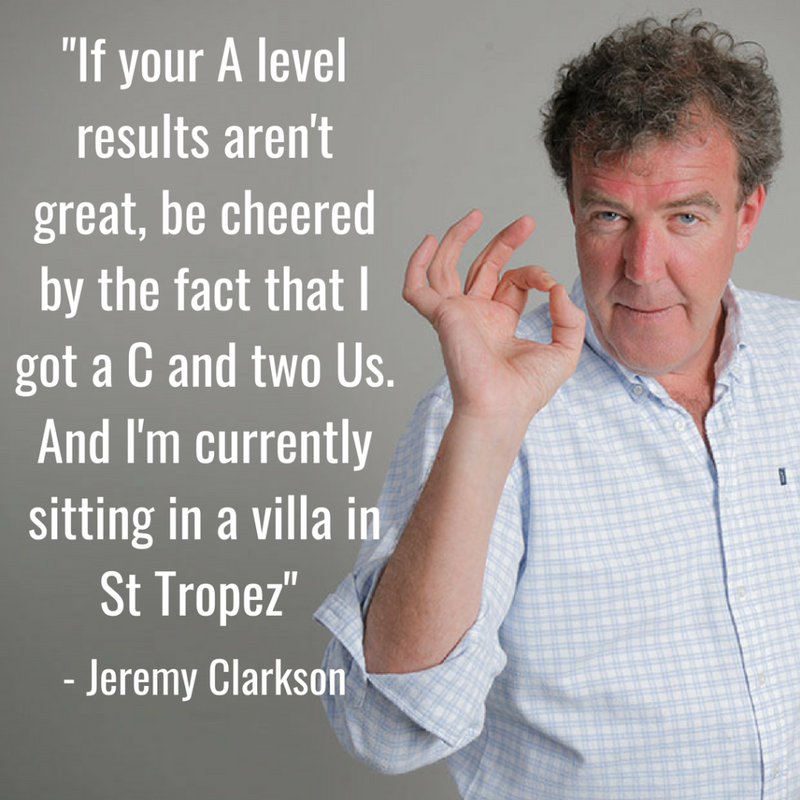 Presenter Jeremy Clarkson offered his support saying “If your A level results aren’t great, be cheered by the fact that I got a C and two Us. 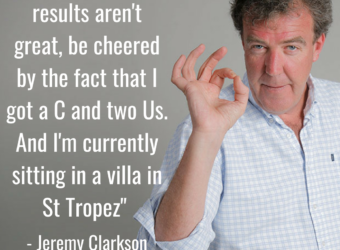 And I’m currently sitting in a villa in St Tropez”. A rather unsubtle brag but it does lighten the mood on what’s a pretty stressful and emotional day! Sir Richard Branson, one of Britain’s most successful entrepreneurs and whose daughter did a course with Ski le Gap, is a big believer of the fact that grades are not the be all and end all. 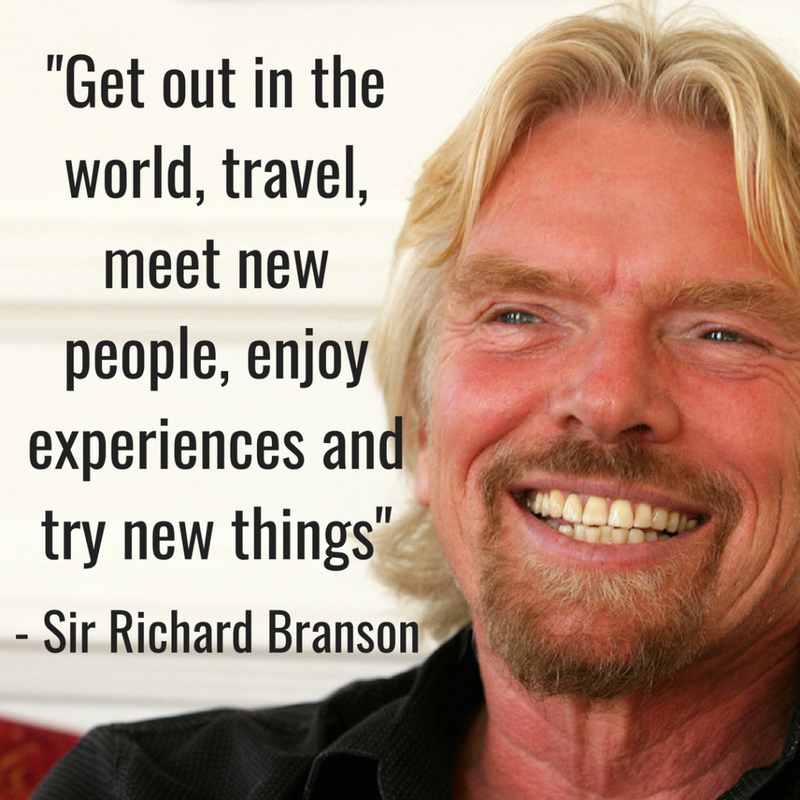 He encourages students to ‘’get out in the world, travel, meet new people, enjoy experiences and try new things’’ to find out what it is you want to do in life. A gap year is the perfect opportunity to do this. If you don’t do as well as you had planned, it is not the end of the world. You may no longer be on the path you envisioned but with some research and planning, you could be on a better one! If you decide to take a gap year, be sure to check out the Year Out Group. They are a not-for-profit organisation that provide reliable information and do thorough checks on all their members. If a gap year company is a member of Year Out Group, you know they are thoroughly vetted, reliable and legitimate. Good luck to everyone receiving A Level results tomorrow – our fingers are crossed for you!